With the advent of breathable technology, there are many different great waders on the market and it is truly just personal preference. We have found over the years that the top end is not necessarily more durable than a mid-range item; but the bottom end is surely a recipe for a leak in the field. Wading boots should be felt bottom and not studded. Studs are hard on the boats and rafts and not needed on our rivers. If you think you need studs on a certain run you should not be trying to wade that deep in a wilderness river. Safety first! You can bring rubber bottom boots, they are fine. Since the fish are usually large, we recommend 6-7 weight rods, reels and lines. Floating lines are the best choice, but it is good to have at least one sink tip. A standard 15 ft sink tip is perfect. Bring at minimum one extra rod and reel combination. We prefer heavy leaders and tippet. You should bring nothing lighter than 3x. Most of the time we use 10 or 15 pound tippet and 6 foot leaders. Bring Maxima Ultragreen in 10lb and 15 & a spool of 2 or 3x for dry flies. Over the years I have seen flies change dramatically and want to minimize the amount of stuff our guests bring with them. I will be offering a fly box of assorted flies specifically for Kamchatka and specifically for our rivers. Mice Patterns - there are many good mouse patterns on the market from which to choose. We will be only allowing the use of Morrish 2.0 and Mr. Hankey mouse patterns. Give mouse fishing a chance. Often anglers expect immediate results, but like any unfamiliar method there is a learning curve. Mouse patterns are the most lethal to the fish and hook restrictions are strictly enforced. Do not bring Morrish mice size #4, Mercer Lemmings or the large articulated lemming patterns. *An important note concerning leaches, streamers and mice: Please do not bring streamers on long shank hooks. It has been shown in many studies of Alaska Rainbows that long shank J-style hooks cause an increase in mortality. We do not use anything larger than a size 4 gap hook 4x long. Please do not bring mice tied on bass style stinger hooks. Feel free to bring any streamers you would like as long as they conform to the hook size restrictions*. 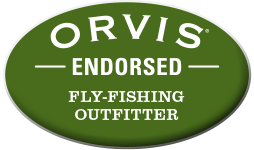 Be aware that we will be checking all flies and boxes to ensure that the hook restrictions are followed. Please leave large hooked flies at home.